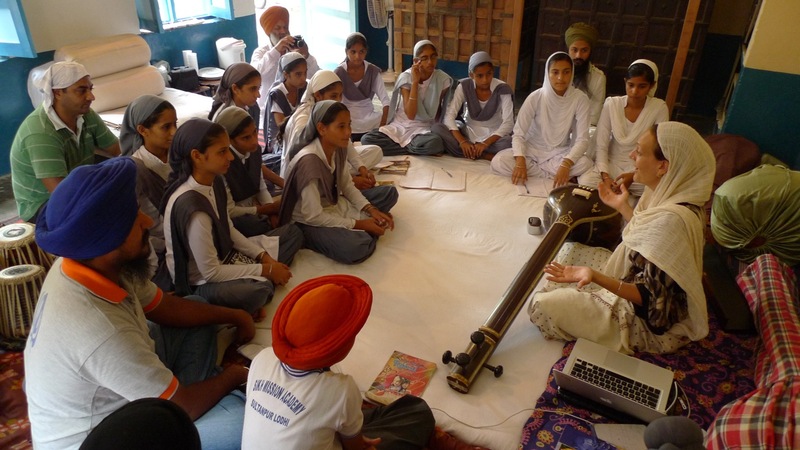 Since May 2011, students from various schools situated in Sultanpur Lodhi, Jalandhar and Amritsar have attended various music, theatre, dance workshops and internship programmes organized by the Anad Conservatory at the Qila. In the month of August, Dr. Francesca Cassio, Chair of Sikh Musicology, Hofstra University, visited the Anad Conservatory and conducted one workshop. 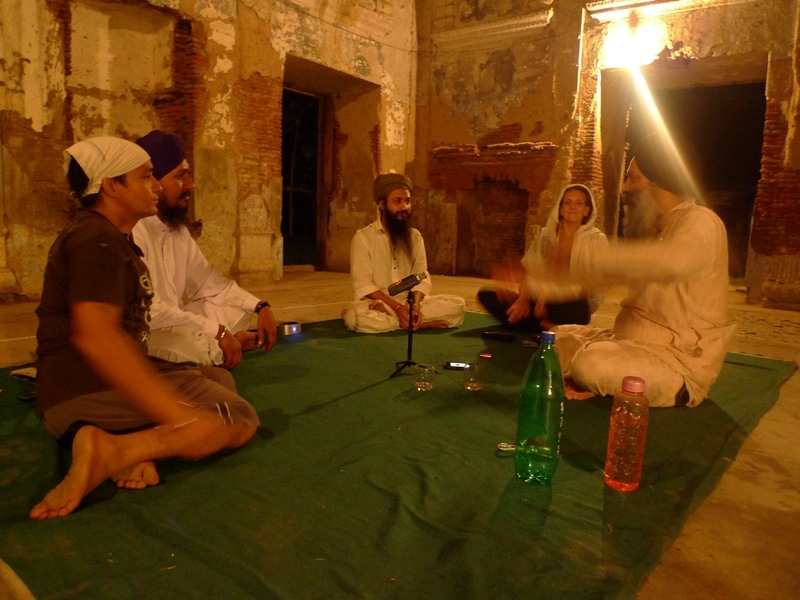 As part of her ongoing research on the role of women performers in the field of Gurbani Kirtan and Sangeet, Dr. Francesca Cassio stayed at the Qila, Sultanpur Lodhi for 4 days. Over the last few days, she met with various women performers of Gurbani Kirtan such as Professor Jaswinder Kaur, Dr. Nivedita Singh, Dr. Jasbir Kaur, Dr. Rajinder Kaur – the daughter of legendary Ragi, Bhai Bakshish Singh, Bibi Baljit Kaur Khalsa and the young Ashupreet Kaur. Dr. Cassio has studied from some of the most important exponents of Indian classical music such as Padma Bhushan late Ustad Rahim Fahimuddin Khan – a scion of the Dagarvani Dhrupad style, Padma Bhushan Vidushi Girija Devi and has studied Tagore music from Shrimati Promita Malik and Dr. Reba Som. In the field of Gurbani Kirtan, she is a disciple of Bhai Baldeep Singh, the Founder Chairman of the Anad Foundation, New Delhi and founder of the Anad Conservatory. She graduated in Ethnomusicology (1996) with full marks at University of Rome ‘La Sapienza’, with a thesis on ‘Dhrupad Vocal Music of North India‘, where is included a part about Gurmat Sangeet . The thesis was successfully defended after three years of fieldwork, under the tutoring of Prof. Giovanni Giuriati. She did her Doctorate (2004) in History and Analysis of Musical Cultures (Ethnomusicology), with a three years grant from University of Rome ‘La Sapienza’, under the tutoring of Prof. Giovanni Giuriati. The thesis was done in affiliation with the Benares Hindu University (India) under the guide of Prof. Ritwik Sanyal for the research part in India. She received the ICCR (Indian Council for Cultural Relations) Orientation Grant in 2008 for a research about the influence of Dhrupad and Gurubani Kirtan in the music of Rabindranath Tagore. The research took place in Kolkata, and at Viswa Bharati University (Shantiniketan, West Bengal). During her current visit to Anad Conservatory, she focused on the pedagogy of pakhawaj of the Sultanpur Lodhi-Amritsari Baaj which is acknowledged as the oldest surviving tradition of percussions in South Asia (drums including pakhawaj or mridang, dholak, nagara, mandall, jori and tabla). 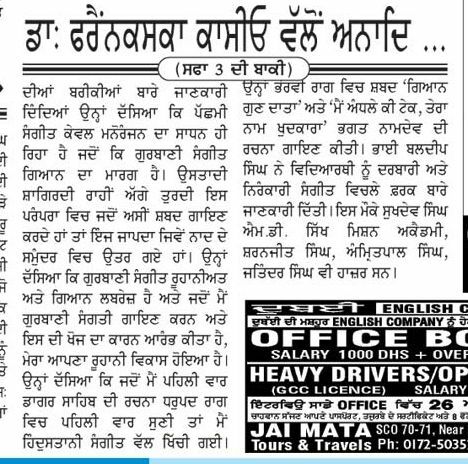 Bhai Baldeep Singh is also the current Mukhi (head) of this Baaj and is for the first time setting the syllabus for the study of this tradition. 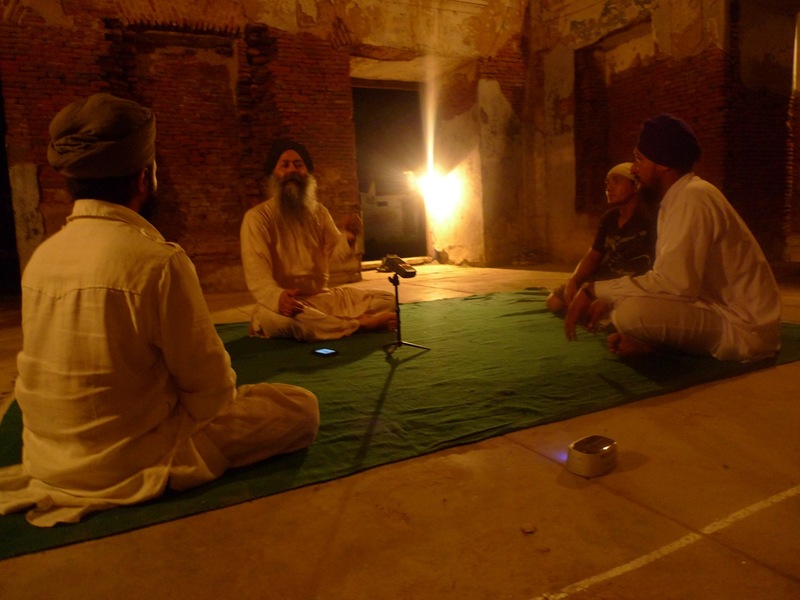 Additionally, Dr. Cassio studied a few rare shabad-reets (compositions) set in ragas natt, natt narain, shudh malhar and gond-malhar. For the students of Sultanpur Lodhi, it was a treat as they got to attend her lecture at Anad Conservatory on August 22, 2012. She introduced them to the bel canto technique of singing employed in Western Classical vocal music, in order to show them that –as for foreign languages- any musical tradition can be understood and learnt if the fundamentals and the grammar are properly taught. 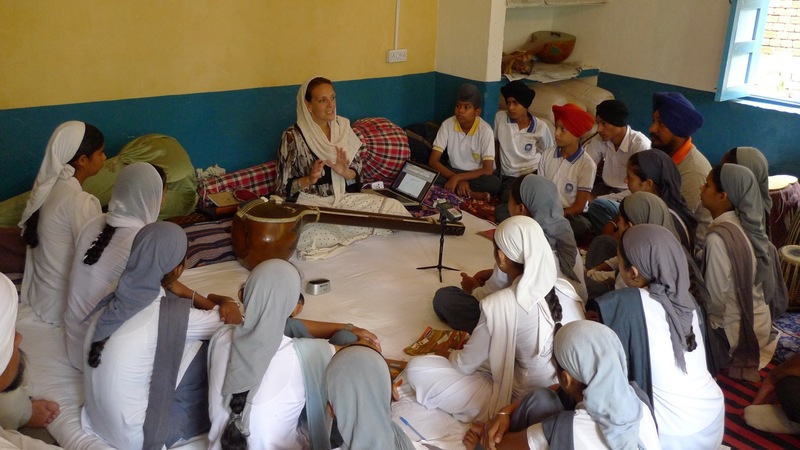 On this regard, Dr. Cassio told the students how she learnt Indian music, studying the grammar and the vocal technique of dhrupad under the guidance of Ustad Rahim Fahimuddin Dagar and Bhai Baldeep Singh. Bhai Baldeep Singh and Dr. Francesca Cassio also visited the Ishmeet Singh Music Academy (ISMA), Ludhiana where she interacted with the students there. Dr. Cassio was pleasantly surprised to reunite with her younger gurubhai, Kapil Sharma, who is a faculty member at the ISMA. Kapil is also a student of Vidushi Girija Devi.